We pulled off the asphalt and bumped onto a dusty road curving gracefully towards some small buildings, an old general store and a dance hall. I saw a longhorn steer and evermore folks in cowboy hats. An older man tipped his hat at me as I walked by, and we got some cold longnecks from the outdoor bar. I wandered into the general store to look at the yellowing prints on the wall. Following the sound of rising harmonies caught on the breeze, we went and sat beside a circle of musicians on tree-stump stools in the dappled sun. Under the live oak trees, the music ebbed and flowed between them as they sang sweet songs of the South and of the rivers and of love lost. The circle was fluid as folks would join and leave the circle, walking over to get a cold Lone Star or scratch the dog, coming back to pick up their well-worn instrument. There was an air of eager anticipation as one musician would pluck and strum their way into a new song, the others watching intently, nodding and then figuring out the melody to join in with their own contribution. Punctuated by encouraging calls of, “Tell us all about it!” and “Yeah you do,” they took their mandolins and guitars, their banjos and gut buckets and just made sublime music in the Sunday twilight. I want to start a music festival there. We’ll get the Avetts to headline, we’ll bring a bunch of great indie bands who know their roots, and we’ll two-step til sunrise. I learned how to two-step today under the globe lights, as the sun set. 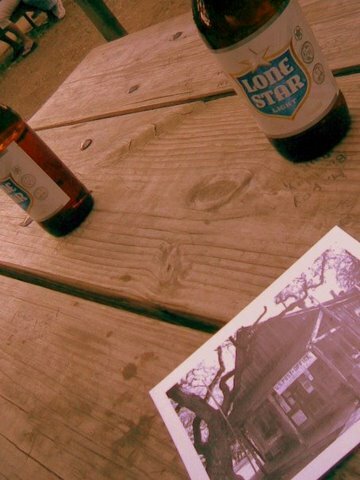 Let’s go to Luckenbach, Texas. I always wanted to visit luckenback- especially after hearing snider’s story…i am not sure about the festival there…would the place get ruined? sometimes out-of-the way and lonesome should stay that way. 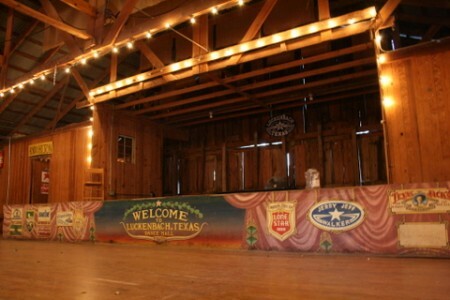 A festival in Luckenbach, Tx would be great. Let me know if you ever get it happening! Heather, I usually read your blog on my Google reader, but today I had to come here and comment. This was a beautiful post. 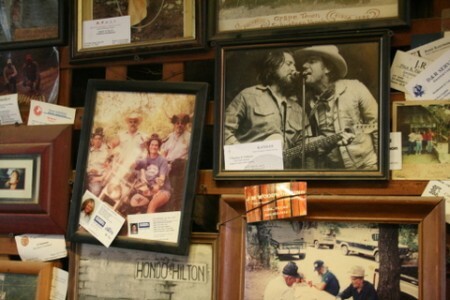 Willie used to have his 4th of July Picnic in Luckenbach every year and 10,000+ would show up. 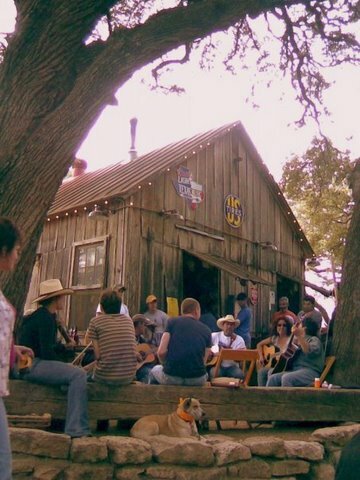 Luckenbach can handle a music festival. Glad my musical leader could come down to my home state and visit one of our musical meccas. Next time go to Gruene, TX and catch a show at Gruene Hall. wow, so great! thank you for the story and the songs, Heather. I’m listening to Todd Snider right now at work and had to thank you for introducing me to yet another great artist. I think I’m gonna have to get all his stuff now. THX again, so much. great stuff. I’ve been reading your posts regularly for a long time now – this one was particularly insightful and thought provoking. Thanks. I totally agree. As a northern boy, I took my texas-born wife to Fredricksburg and stumbled on Luckenbach. Always liked the song…so we stopped and got one or two of the famous T-shirts. 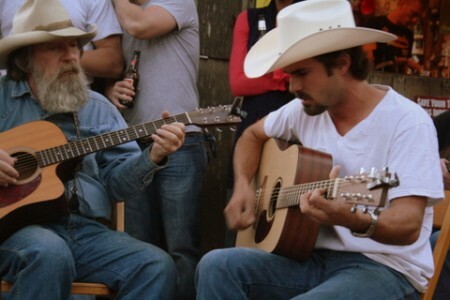 Have a neice in Wimberley who went there a few years ago whem Willie was playin’. She hated it when there were so many people there. 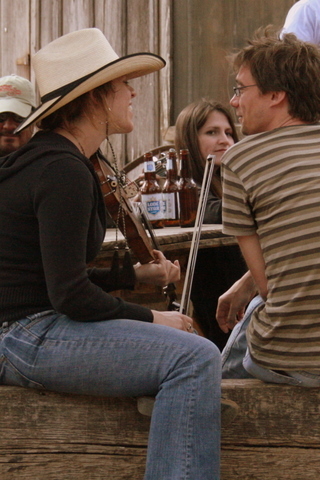 Oh yeah, we’ve been to Gruene hall many times.Great place too.